Women’s participation and leadership in decision making at all levels, starting in the home and extending to the highest levels of government, is a fundamental prerequisite for women’s rights enjoyment, gender equality, sustainable development and genuine democracy. However, statistics continue to reflect the under-representation of women in political institutions and structures at the local and national levels. 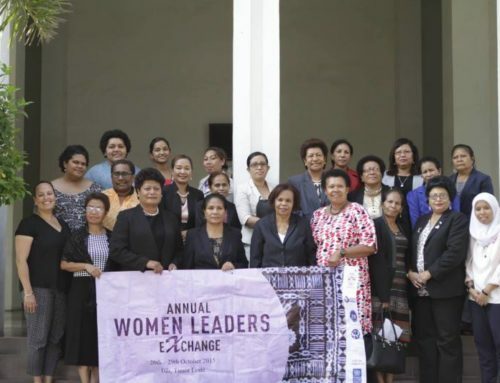 Women represent approximately 50% of the world’s population and yet the world average proportion of women in the national level legislatures stands at a mere 22%, while in Asia and the Pacific (excluding Australia and New Zealand) that number currently stands at 19% and 5.2% respectively. 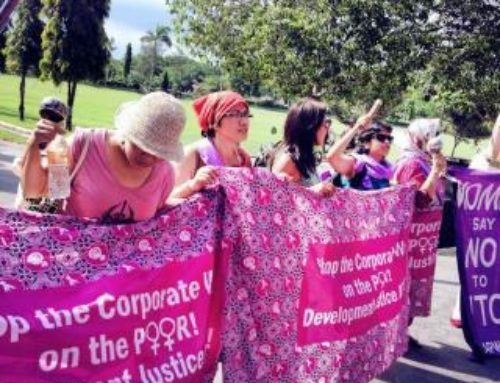 While women have taken the initiatives to engage in decision-making and occupy leadership roles, they have had to do so in the face of many challenges ranging from cultural barriers to growing influences of neo-liberal globalisation, fundamentalisms, and militarisation. 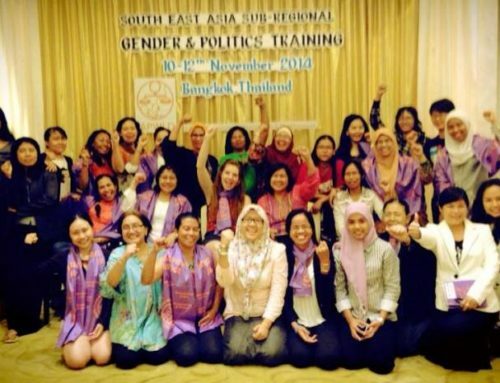 Recognizing that among the measures that have been influential in increasing women’s political participation includes capacity development, strengthening women’s movement and solidarity, APWLD has been carrying out its Gender & Politics (G&P) trainings through its Women in Power (WiP) programme since 2006. We are working with women engaging in multiple levels of politics and leadership to strengthen their political participation, challenge gendered political structures, engage with the broader women movement and influence development agendas locally, nationally, regionally and globally. The training precedes the 2nd session of the Asia-Pacific Forum on Sustainable Development (APFSD), to be hosted by the Government of Thailand and the United Nations Economic and Social Commission for Asia and the Pacific (UN ESCAP) in Bangkok, Thailand from 21 to 22 May. This year’s theme on “Strengthening integration, implementation and review for Sustainable Development in Asia and the Pacific” takes place on the occasion of the regional and global review of the Millennium Development Goals and formulation of the Post-2015 Sustainable Development Agenda. To ensure that women activists, leaders and parliamentarians have an audible and influential role in reviewing progress and demanding genuine, accountable and binding processes in the post-2015 new development agenda. The training will focus on the following themes: politics and political systems; gender, class and patriarchy; transformative leadership; movement building; development justice; post-2015 development agenda; international human right; laws and legislations; advocacy and lobbying. Asia-Pacific Forum on Sustainable Development (APFSD 2015) will take place at the United Nations Conference Centre in Bangkok, Thailand. Pursuant to the General Assembly resolution 69/270, the Economic and Social Commission for Asia and the Pacific (ESCAP) is convening the 2nd session of the APFSD that will take stock and solicit the Asia-Pacific regional input to the High-level Political Forum on Sustainable Development (HLPF) 2015 where the progress towards the Sustainable Development Goals (SDGs) and the overall Post-2015 Development Agenda will be reviewed. Participants of the APFSD will include representatives from governments, Major Groups, and international organizations. Selected participants for the training will also be offered funding for their participations at the APFSD although women parliamentarians and government officials are encouraged to join their government delegations. Ensuring that women leaders and parliamentarians, feminist and women’s rights networks, constituencies and allies has an audible and influential role in the formulation of the Post-2015 development agenda. Further information on the APFSD is available at http://www.unescap.org/events/apfsd2. Balance representation from countries from the Asia Pacific region. Women activists, leaders, parliamentarians and government official in a decision-making position who can initiate measures for the greater political participation of women and/or women’s rights. 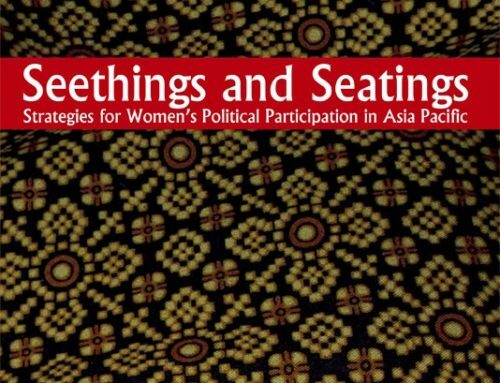 Women aspiring to participate in political processes and other decision-making position. Limited group size of 20 participants. Respond to emails in a timely way as that will be our way of communicating regarding deadlines, registration, hotel and travel arrangements. Produce a Personal Action Plan towards the end of the training. Recommending institution/organisation/party should certify that the person recommended has worked in the area of women’s human rights, political participation and is committed to applying the core learning points from the training in their future work. Recommending institution/organisation/party also needs to explain on the recommendation letter, its commitment and work and vision towards enlarging spaces for women in leadership and decision-making processes. APWLD will cover costs of boarding and lodging for the duration of training and APFSD. In addition, APWLD will also cover costs of an economy airfare, visa fee, airport tax, travel tax and other travel related expenses that has been prior informed and approved. 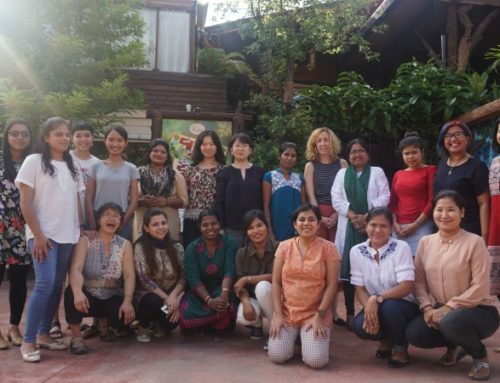 New Partners for Women in Power Womanifesto Sub-grant for Advancing Feminist Participatory Democracy Announced!